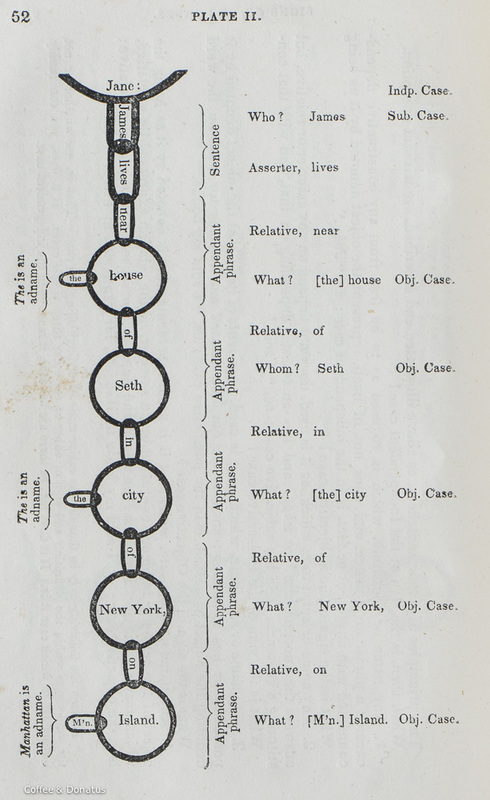 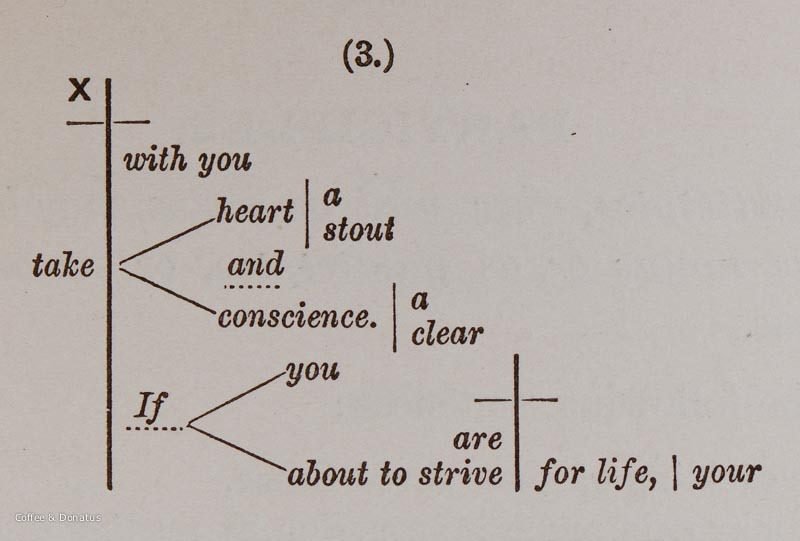 Sentence diagrams became a commonplace feature in English grammars by the mid to late 19th century, and even spawned a new genre— the parsing manual. 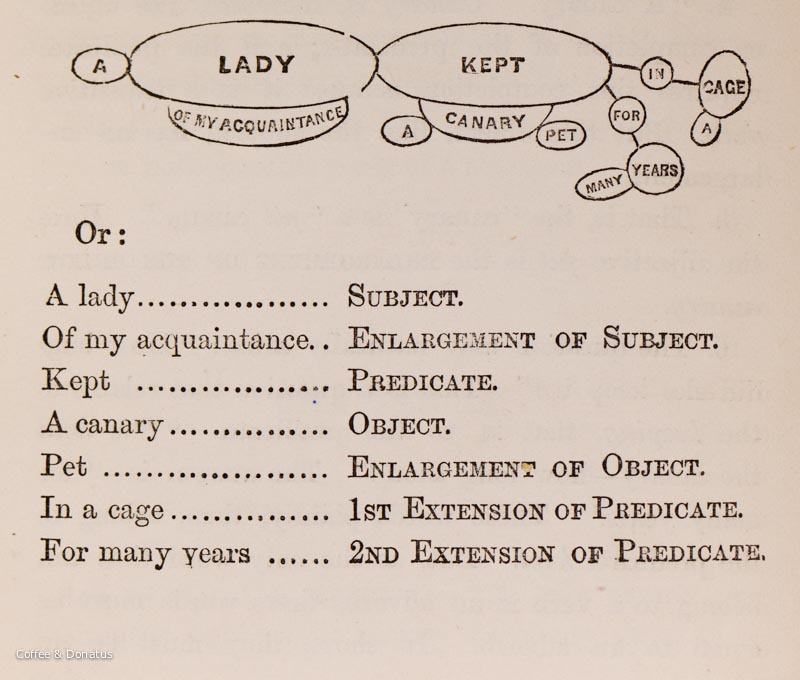 Terminology used in the captions is generally derived directly from the grammars and may not reflect modern usage. 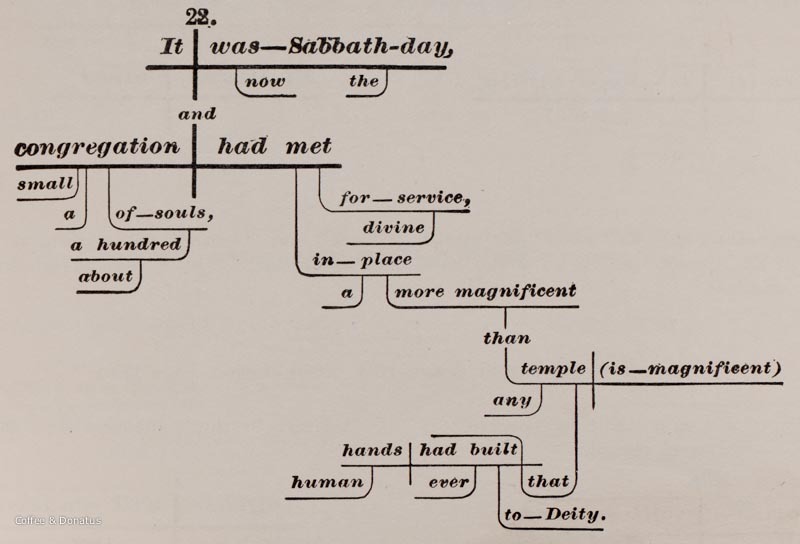 Captions are available in the slideshow view.